Near Space was both a project and an official class at UAT (SCI388: Special topics in science: Near Space). The class consisted of 15 people that were picked by Ryan Clarke, and upon passing an entrance exam put into three different groups; engineering, science and logistics. 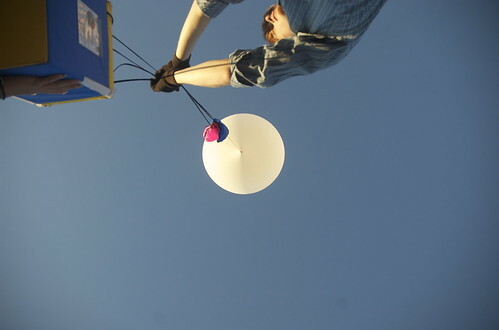 The goal of the class was to send a balloon to 90,000 ft and to successfully recover the payload once the balloon burst. Our first launch Connery-1 went off without any major issues, and we completed our goal. We reached 93,000 ft and recovered the payload along with the data it had captured. 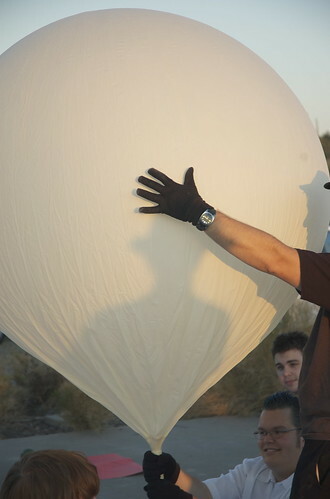 Steve Harper holding the payload seconds before it is let go. The engineering teams primary focus was to create the payload box, along with the structural support to hold all of the equipment in place. The engineering team was also in charge of designing and building a way to fill the latex balloon, building the flight computer, and radio. The engineering team also had to write the procedures for the launch, and test the various parts of the systems to make sure that it would survive the return trip from near space. The science teams primary focus was science experiments that were to be performed while ascending and descending. The science team is also in charge of interpreting any data that did come back down, and in general anything related to science. The logistics teams primary focus was ordering parts, and making sure they arrived on time, they were also in charge of making sure we were following all federal regulations and following the letter of the law. This team was also in charge of finding the appropriate launch sites, and predicting where the near space payload would fall back to earth so that we may recover it. Slowly and carefully putting gas into the balloon. 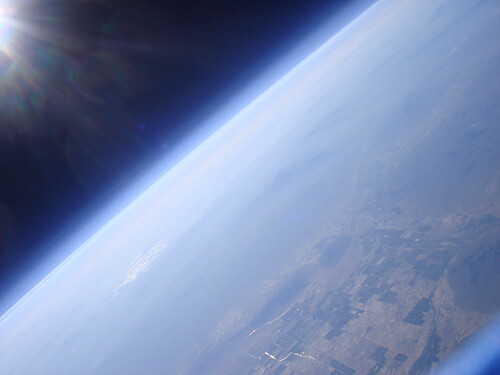 CONNERY-1 was the first near space balloon we launched, it had onboard a BASIC Stamp 2, GPS, Radio, a photo-camera, and a video camera. We launched at 0640 mountain standard time, and retrieved the payload a few hours later. We hit an altitude of 92,999 ft. It was a huge success, and we were extremely happy. The pictures the payload took were absolutely stunning, and awe inspiring. We tracked the balloon using the APRS network. CONNERY-2 was a huge success, we launched our second balloon with some modifications, we decided to take more pictures more often, and we also modified the flight computer to log more GPS strings. We also launched right before sunset so we were able to capture many more awesome pictures. The balloon was once again tracked using radio signals sent to the national APRS frequency. The Near Space payload consisted of a data logger that was logging data to an SD card a format that we well defined. When the data came back down to earth we needed a way to parse the data so that we could graph it using Excel and or other tools. I wrote a simple parser that parses the different format versions that we already have by automatically detecting in what format the file is. It then parses the data and outputs a comma separated file (csv). For the project we decided from the start that we needed a good place to store information that would be accessible by the outside world, as well as to anyone that wanted to provide their insight. We also wanted to provide a way for people to track our progress and to find out more information about the project. We set up a near space wiki, which contains most of the information about the project. Unfortunately not everyone that was on the project has wiki knowledge so documentation is unfortunately lacking somewhat. 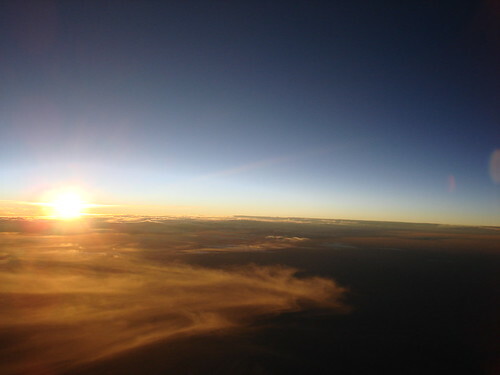 It is our hope as a team that UAT will continue to do near space balloon launches, gathering more pictures in the process, along with various science experiments. There is just something to being able to say that you were part of a team that helped launch a balloon to 93,000 ft.